Back on the Road | Diesel Fuel Additives: Are You Treating Your Truck Properly? While the switch to ULSD fuel has proven to reduce harmful emissions significantly, it has increased the number of shop visits we’ve seen related to damaged parts of the fuel system. The most commonly used additives are designed to decrease cold-weather gelling, but additives are used year-round for many reasons. Fuel additives can improve fuel efficiency, enhance lubricity and help combat bacteria that thrive in fuel tanks. 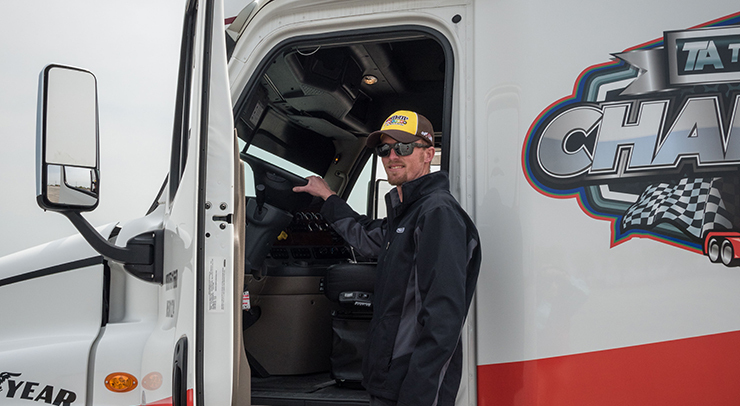 Whatever the season may be, it’s important to know when fuel additives are necessary and how they can benefit your truck and productivity. Cold weather is not kind to diesel fuel. Diesel fuel gels up in cold temperatures because it contains paraffin wax, which is designed to improve fuel viscosity and lubrication. When temperatures fall, paraffin wax thickens, in some cases so much that it clogs fuel filters or solidifies to the point where it will no longer flow. Adding a winter fuel additive to your maintenance routine is the easiest way to prevent fuel gelling. Winter fuel additives can help prevent paraffin wax crystals from plugging your fuel filters at low temperatures. They can also help improve cold engine starts and prevent harmful deposits from clogging your fuel injectors. Clogged filters are frequently a result of fuel gelling during winter months, but filter plugging can occur year-round without regard to temperature. Prior to 2006, the sulfur element in diesel fuel acted as a lubricant for components and seals, and served as a deterrent to microbial and fungal growth. These benefits were lost when the ULSD fuel was mandated. As a result, diesel fuel is more susceptible to excessive bacteria growth, which causes a buildup of contaminants also known as “black slime” that can clog fuel filters, damage fuel pumps and injector nozzles, and overall degrade the quality of your fuel. If you are experiencing these issues with your own truck, an additive could be just what the diesel doctor ordered. Try using a detergent additive, which can help clean and dissolve harmful deposits that form on critical parts like fuel pumps and injectors. A lubricity additive will help keep critical engine components like fuel pumps lubricated and reduce their chance of wear. Water contamination is one of the biggest enemies of diesel-fueled equipment. Diesel fuel leaves the refinery free of excessive moisture, but water can re-enter the mix a number of ways. Whether it enters through poorly fitting fuel caps or condensation in storage tanks, any extra moisture will promote bacteria growth, which can corrode injectors, clog filters and do other damage to your fuel system and subsequently engine. If you notice black slime in your fuel accompanied by a foul smell, try treating your fuel with a corrosion inhibitor additive, which has properties that can reduce the impact of water in diesel fuel if it comes in contact with metal parts. Whether you’re using a winter additive to combat fuel gelling or a detergent additive to dissolve harmful bacteria clogging your filters, take pride in maintaining your fuel system and it will take pride in serving you and your customers. 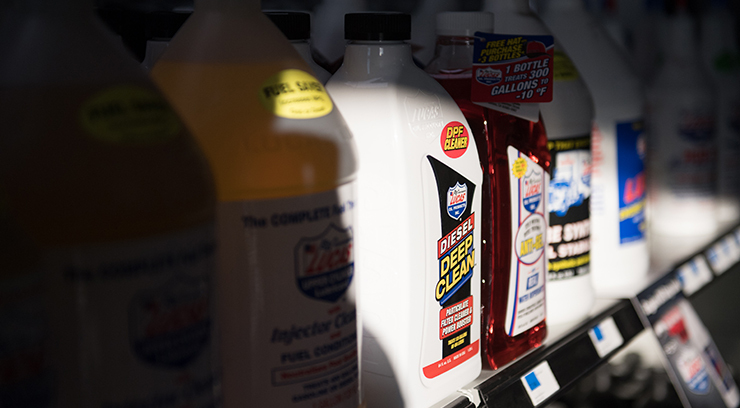 Stop into a TA Truck Service facility to shop our selection of diesel fuel additives today.